...you gotta make sense of the huge amount of information available, decipher the natural hair lingo, know your hair needs and build a hair regimen that caters to them. You finally want to grow your hair healthy and strong and give yourself the chance to know and fall in love with your curls. The only problem is you don't know what you're doing! You've spent countless hours on Google and YouTube trying to put together a hair routine, but it's all very confusing. Everything is very new and you're not sure if what you're doing is enough or is damaging your hair. Despite your best efforts you don't seem to be making any progress. You've implemented new hair care practices and brought in new hair products, but your hair is still dry and/or difficult to work with. You've built a hair regimen based on the results and tips of your favourite YouTuber or blog, but you're still struggling and you fail to make sense of what you could be doing wrong. You've been at this for some time, but you still feel like a newbie. Finally be able to start off your hair journey knowing your hair regimen is working towards your hair goals. Have the confidence that the ingredients in your hair products are not harming your curly hair or yourself. Shed all the initial doubt, stress and confusion that comes along with being natural and have a mapped out plan. Have more time to enjoy your life without worrying about your hair. Spend more money eating out, on shoes and makeup or even soap making (whatever tickles your fancy!) and spend less money trying hair products that only seem to damage your hair. Good News, My Curly Friend! Whether you just did your Big Chop or started your transitioning hair journey and feel you're struggling to understand your hair needs and develop a hair regimen... please, know the problem isn't you! It's hard to navigate the tremendous amount of natural hair information that is out there. Not to mention that it is sometimes conflicting. All you need is a plan to follow... someone who can point you in the right direction. With the right support, you can definitely jump-start your hair journey, spending less time guessing and more time falling in love with your curls. Well, That's What You'll Walk Away With After Working With Me! Plan and organise a hair routine to support your hair goals and lifestyle. Eliminate all the unnecessary hair care practices and products that are wasting your time and money and stalling your progress. Set up hair care practices that will increase and support your hair health, and growth. Determine what basic products you'll need to nurture your hair. Learn the What, When and How to do your hair care treatments and practices. Let me take you through my story quickly! Back in 2013, when I started my hair journey, I had no idea what I was doing. I felt overwhelmed by the amount of information put out there and my progress was slow as I tried to put together a hair regimen. So I researched and started implementing specific practices to achieve my hair goals. And what happened?! By the end of that year my hair grew 2 in (5 cm) more than the yearly average (6 in/15 cm) and by year three 5.5 in (14 cm) more, nearly a year's worth of hair growth. Bonkers, right!?! "Before consulting with Mónica I was having issues with curl definition and keeping my hair moisturised. I also wanted to make sure I wasn't missing anything. Now my hair is healthy, huge and moisturised. 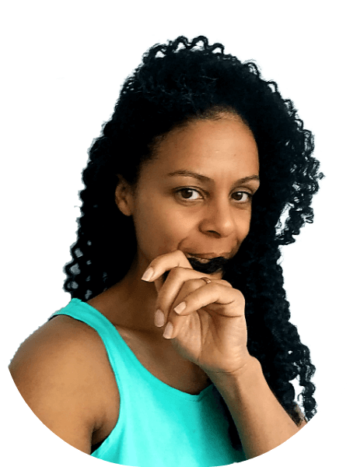 Mónica is very knowledgeable about the natural hair experience and what works and doesn't work." "I wanted guidance after my transition. On consultation, Mónica came up with a hair regimen that gave me direction in planning my hair care needs. I saw results and I feel more confident about what I'm doing. Thanks, Mónica, I don't know what more you could have done. You went above and beyond..."
This is a 90min coaching session designed to be a quick stop solution for natural hair newbies who already have a hair regimen but need to validate or improve it. With this service, you can review, edit & reboot your hair regimen setting yourself on the right track to hair health. You will receive a custom hair regimen to help you move closer to your hair goals. A 6-week step-by-step program for newbies who want to build their hair regimen from scratch. Throughout this program I'll teach and walk you through the essential steps and you'll create your own hair regimen blueprint. "I really didn't know what I signed up when I subscribed to enter this course, but I can tell you right now that I do not regret my decision. Thank you so much for all the effort you put into your writing in order to provide people like me with a better understanding of my natural hair." "There is too much info out there and I watched videos of people saying different things. So I decided 'I won't watch as many videos, but instead I will read', which is when I came across Curly Hair Lounge and I am so glad that I did!" Not Sure if we will be a good fit working together?